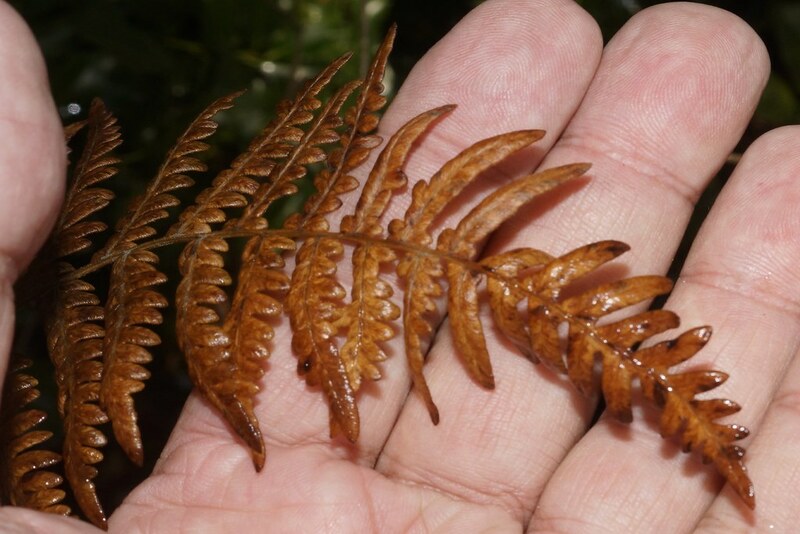 This bracken fern is another species of fern that we found on our nature walk. This variety is called the Hairy Bracken Fern or Pteridium aquilinum (L.) Kuhn var. pubescens Underw. 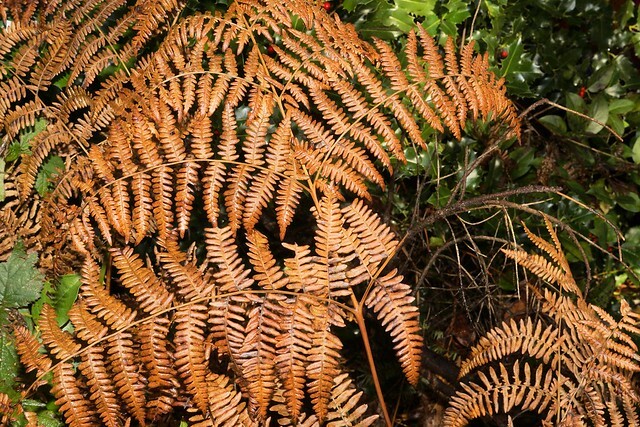 It differs from the Bracken Fern commonly found on the Patuxent Research Refuge with shorted terminal segments on the well-developed pinnules, The Hairy Bracken Fern is found in Western North America from Alaska to Northern Mexico, as far east as Texas and South Dakota. It forms colonies which can be invasive, especially in hay fields.